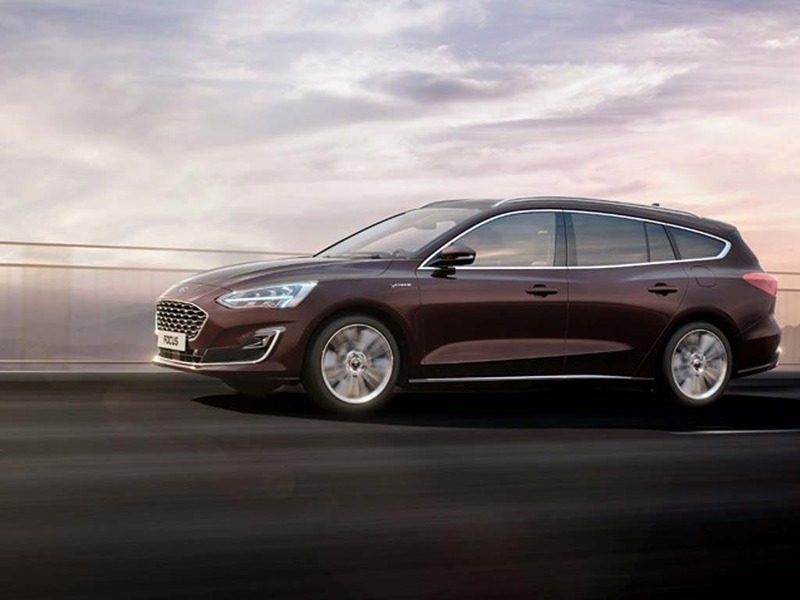 Experience a refined drive with the all-new Ford Focus Estate. Designed to take the stress out of driving, the Focus Estate features a whole host of advanced technologies like Pre-Collision Assist. 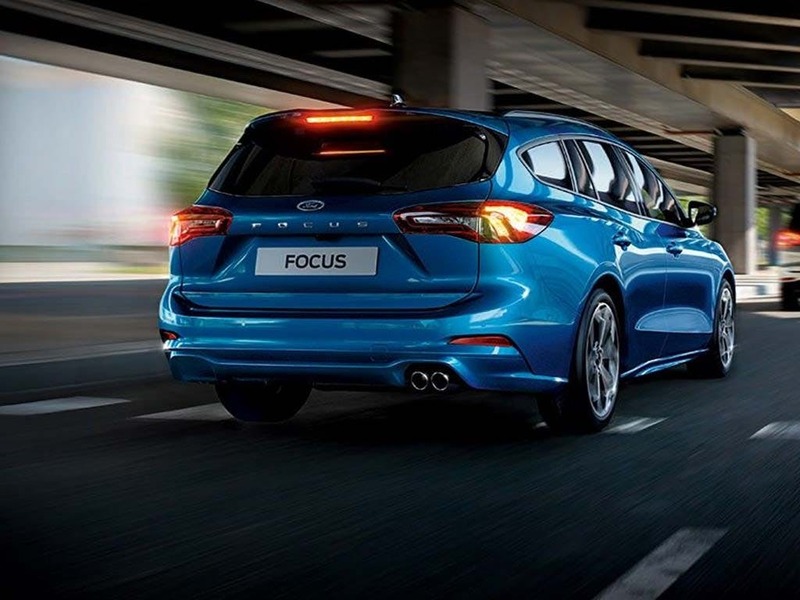 The latest addition to the Ford Focus range combines comfort, safety and efficiency for the ultimate experience. 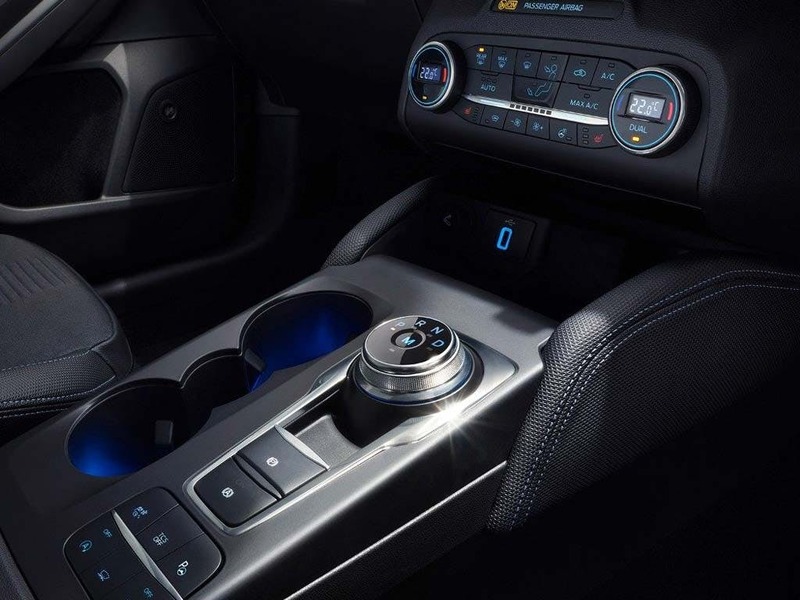 Enjoy a smooth and enjoyable ride thanks to the Ford EcoBoost engine, offering the same power you would expect from much larger engines. 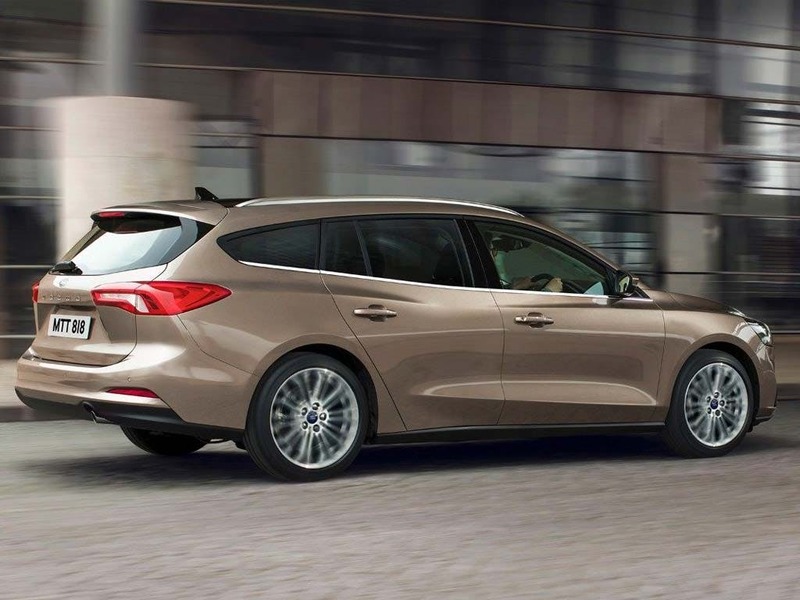 Get the most out of your drive with the Ford Focus Estate. 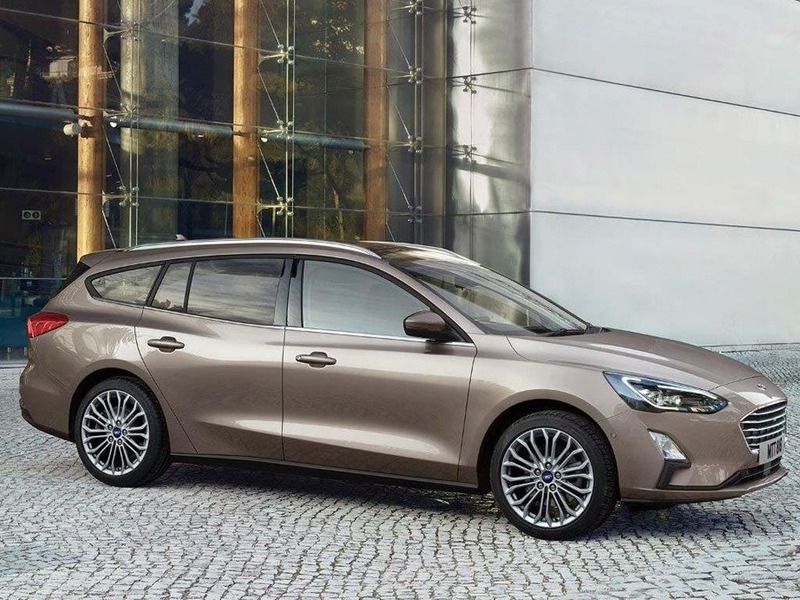 Discover all the latest All-New Ford Focus Estate offers currently available. Download the latest All-New Focus Estate brochure. Stand out from the crowd thanks to the all-new Ford Focus Estate’s redesigned exterior. With a fluid shape and clean lines, the stylish and athletic appearance of the Focus Estate won’t go unnoticed. For a sleek look when out on the road, the body-coloured exterior adds a contemporary edge to a classic design. Built with aerodynamism in mind, you can benefit from its forward-thinking design, which helps to maximise efficiency and keep your costs down. 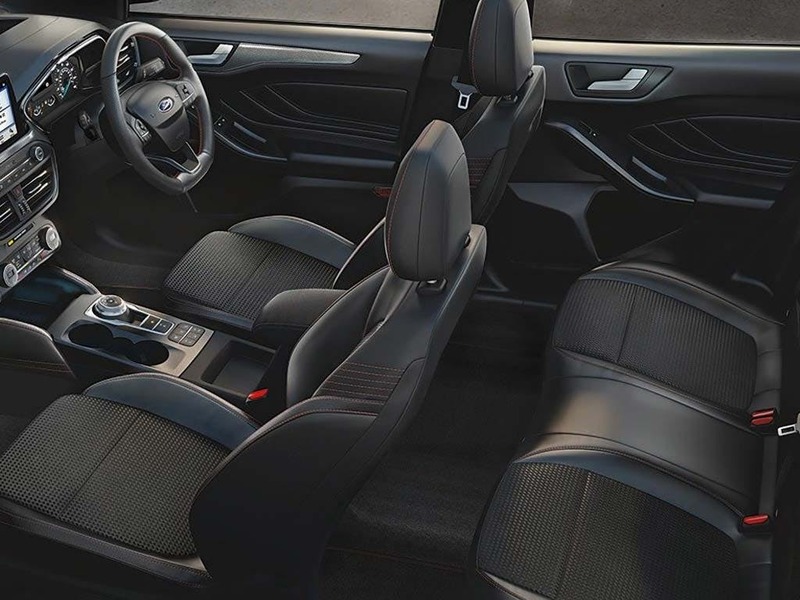 The All-New Ford Focus Estate provides a comfortable drive for all passengers, with the spacious interior providing plenty of room for everyone. You’ll also benefit from an impressive amount of space for storage. The roomy boot space has two height settings, allowing you to create a hidden compartment underneath. 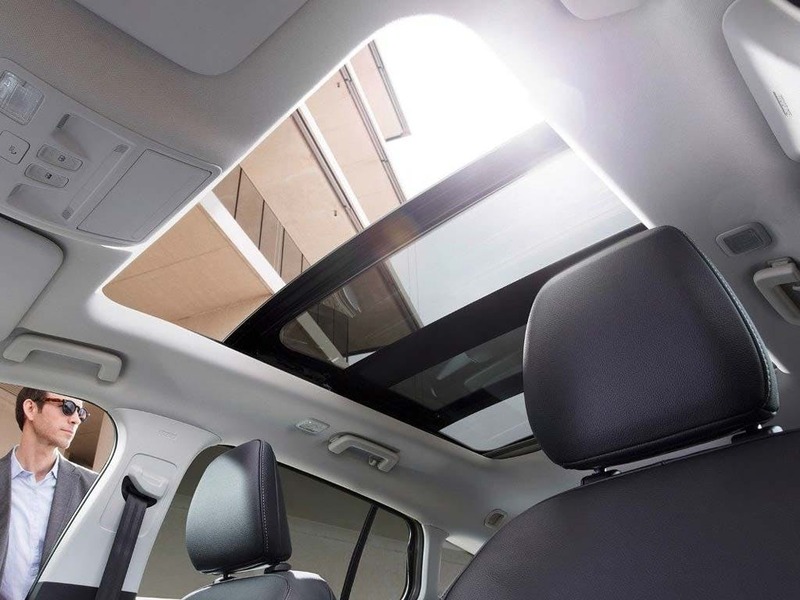 The rear seats also fold down into an almost flat position, allowing you to really get the most out of this spacious vehicle. 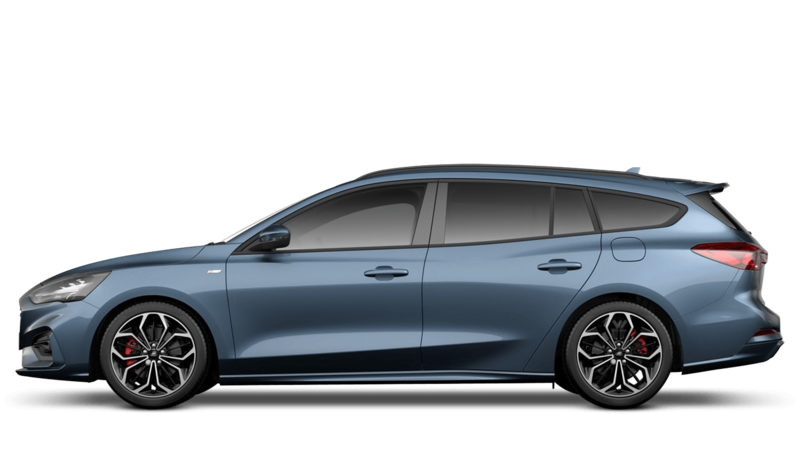 The All-New Ford Focus Estate is available with a range of powerful yet economical engines, with each one featuring an 8-speed automatic transmission with a rotary gear shift dial or 6-speed manual transmission. With the Ford Eco Mode system, your driving behaviour is continually assessed to maximise fuel efficiency. Choose from a 1.0 or 1.5 litre engine and benefit from the improved Ford EcoBoost 3-cylinder design, which delivers smooth driving performance. Safety is a priority with the All-New Ford Focus Estate, which uses cutting-edge technology to ensure you stay safe out on the road. 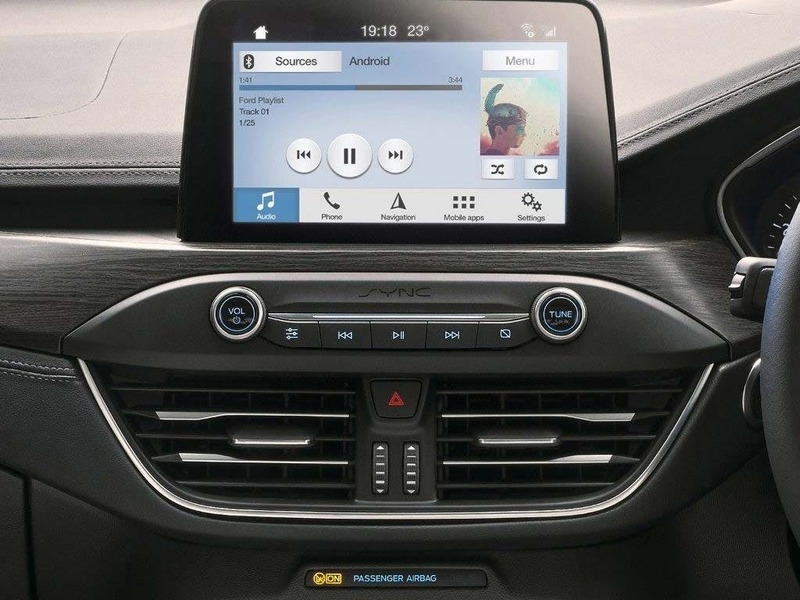 Pre-Collision Assist with Pedestrian Detection constantly scans the road to identify potential hazards before they appear, and, if a collision is likely, Active Breaking will apply the brakes. For peace of mind in all weather conditions, Electronic Stability Control can apply a braking pulse automatically when it senses a loss of grip. Introducing the all-new Ford Focus Estate - deisgned to put your family first. 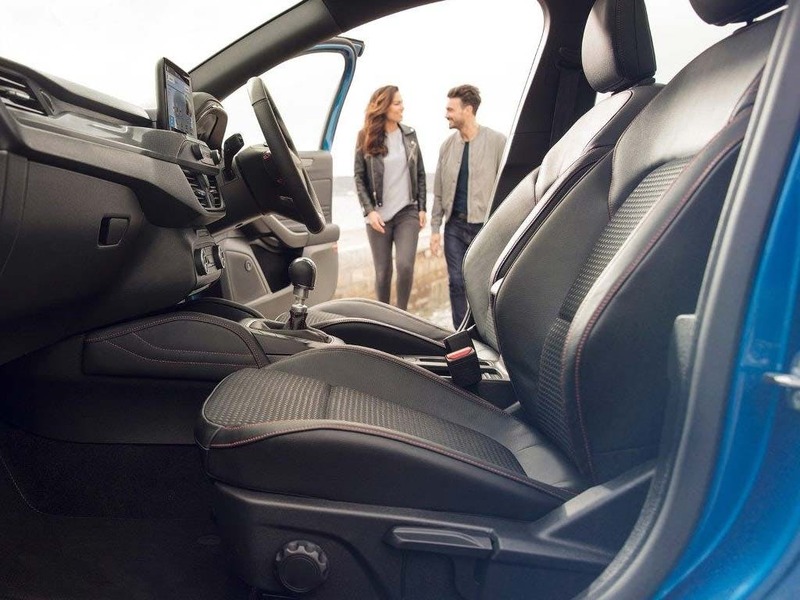 Enquire online or call your local Think Ford dealership for more information or to experience the Focus Estate for yourself by booking a test drive. Discover the Focus Estate at our dealerships in Basingstoke, Bracknell, Farnborough, Guildford, Newbury, Reading and Wokingham. If you want to discuss the best purchasing options available to suit you, enquire online or call us to speak to a friendly member of the Think Ford team who are on hand to help answer your enquiries.